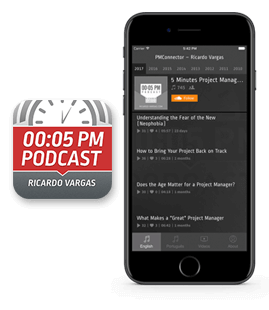 In this episode, 1 of 2, Ricardo talks about the sixth edition of the PMBOK® Guide, which is the most popular reference on project management. Ricardo comments on what's changed since the last version published 4 years ago. He also presents his video that shows the development of the new processes flow, that you can download on his website (ricardo-vargas.com). You can also download a canvas and use it to repeat the process shown in the video and make the processes flow at home, at work or in your classroom for a better understanding of the Guide.